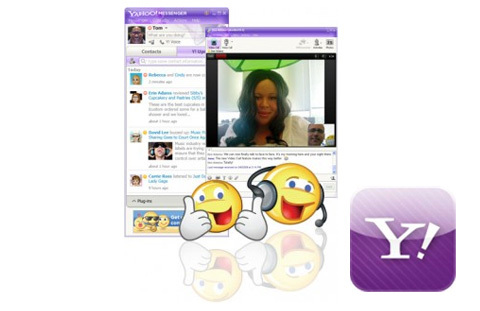 After free text messages and calls for iPhone and iPod Touch from Pinger, it’s time for free video calls from Yahoo. The announcement was made by Yahoo’s VP of Mobile David Katz yesterday while talking to Reuters. Yahoo is preparing to release the new app for both iOS and Android which would bring free video calls over Wi-Fi and carrier networks to Yahoo Messenger users. The app will be submitted for approval soon and will allow users to make video calls from mobile to mobile and mobile to PC. The service, if approved by Apple, will give some tough competition to FaceTime which works between iPhone 4 users only and limits support to calls over Wi-Fi to maintain video call quality. The Yahoo service will obviously have more features and a greater reach. Apple has shown some major change of heart recently and has allowed competitive apps and services in to its world. It can be expected that Yahoo’s ambitious new offering shall see the light of day soon. The service will also emerge as another challenger to Skype as Yahoo already has a strong 81 million Messenger user base which is sure to increase with an offering like free mobile to mobile and mobile to PC video calls. Yahoo needs to offer high quality video calls and some innovative new features to attract more clients and retain the competitive edge. Previous post: iTunes Subscription Service, Rumour Or Real?